NANOSKIN SPEEDY SHINE Exterior Trim, Bumper & Tire Gel is the next generation shining agent from NANOSKIN. The thick, water-based suspension formula provides a high gloss shine on all exterior trim, bumper, tires and wheel wells. The ultra safe formula contains no petroleum distillates or VOCs, which are known to crack vinyl and rubber. SPEEDY SHINE's safe, water-based formula delivers premium protection and an attractive shine. Ideal for both interior and exterior surfaces, NANOSKIN BLUE DRESS Premium Dressing keeps rubber, vinyl and plastic moisturized to prevent fading and cracking. 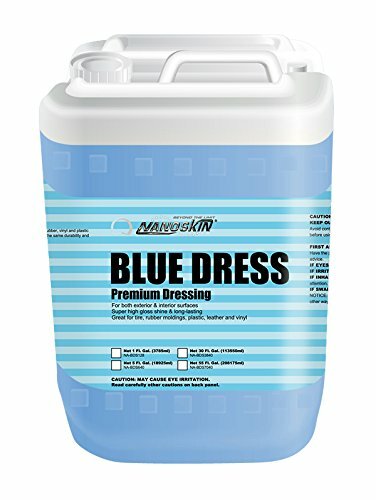 BLUE DRESS is a water-based formula that provides the same durability and "wet look" typically associated with solvent-based dressings. Meguiar's water based dressing is an All purpose dressing which will restore shine and luster to vinyl, leather, and rubber surfaces. Spray and wipe at full strength for high gloss application on tires or exterior trim. This versatile formula can also be diluted 1: 1 for a natural low gloss look on interior applications. Super Blue is our best tire shine that is formulated with premium silicone to produce a unbeatable high shine. This advanced spray-on tire dressing is also VOC compliant and solvent based. This product is long lasting and yields a superior shine and finish. 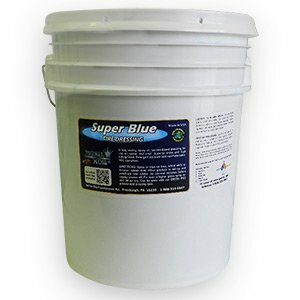 Super Blue is detergent resistant and non flammable. 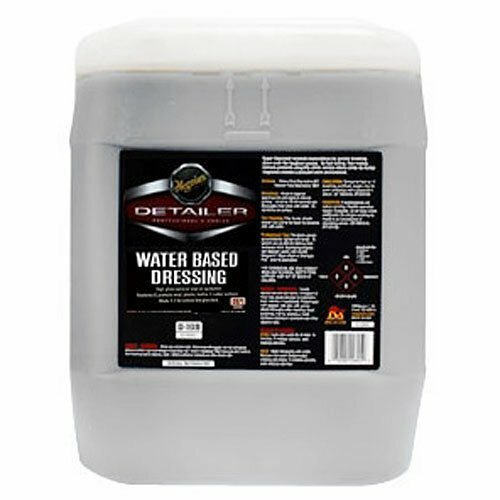 This product will leave a "wet look" shine when applied to tires and vinyl or rubber trim. Has a pleasant watermelon scent, is environmentally friendly and 100% biodegradable. 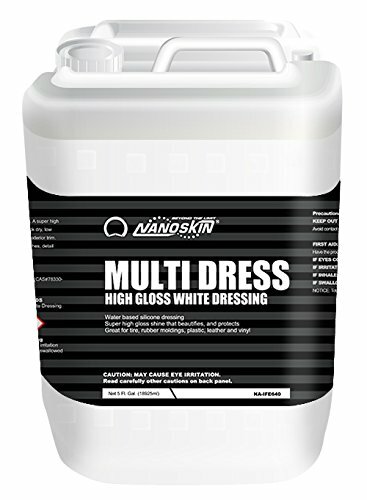 MULTI DRESS High Gloss White Dressing is a semi thick, water based, silicone dressing. A super high gloss shine that beautifies, and protects. Brush or sponge application recommended. Quick dry, low sling-off formula works great on wet tires. 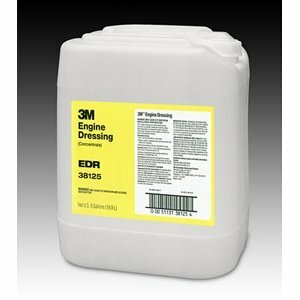 Great for tires, rubber moldings, bumpers, and exterior trim. MULTI DRESS also imparts high gloss into interior vinyl and leather. Designed for car washes, detail shops, new car dealers, and show car enthusiasts. BioTech Tire Shine has been specially formulated to creates a "WET LOOK" shine to tires, adding a sparkling final touch in just seconds. 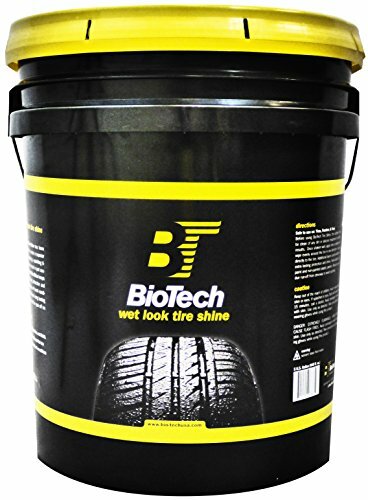 Bio-Tech's tire shine is designed to lubricate the rubber, which enhances the cars appearance. Also, protects and stays on the tire under all kinds of harsh conditions. Formulated with UV inhibitors to help prevent damage from the sun's rays, helps prevent drying and cracking. Until now, the industry average for diluting water-based dressings has been one to one or ready-to-use. 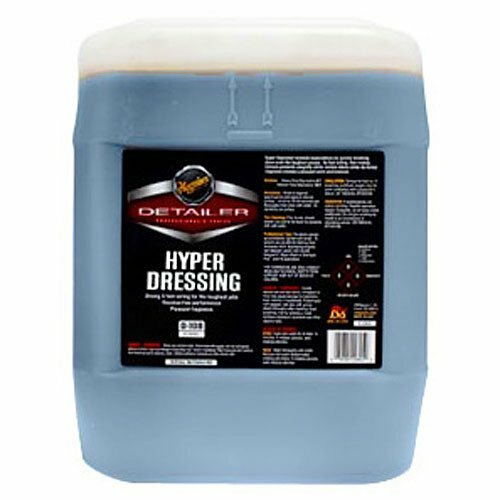 Meguiar's hyper-dressing dilutes up to four to one, varying the gloss from high to satin. 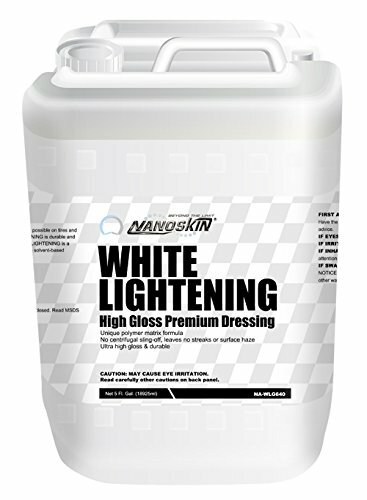 NANOSKIN WHITE LIGHTENING High Gloss Premium Dressing produces the highest shine possible on tires and exterior rubber and plastic trim. 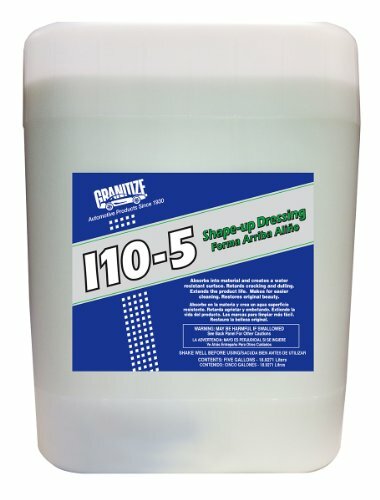 By using unique "Polymer Matrix" emulsifier, WHITE LIGHTENING is durable and reduces centrifugal sling-off on vertical surfaces, leaving no streaks or surface haze. WHITE LIGHTENING is a water-based formula that provides the same durability and "wet look" typically associated with solvent-based dressings. 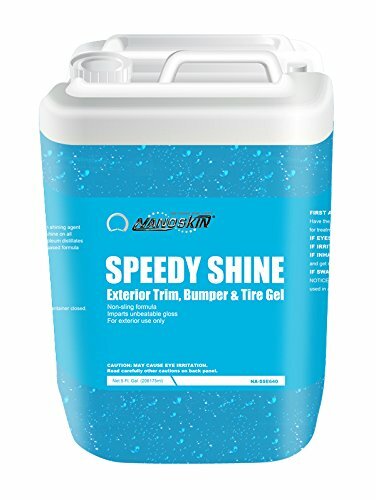 Compare prices on Tire Shine 5 Gallon at ShoppinGent.com – use promo codes and coupons for best offers and deals. Start smart buying with ShoppinGent.com right now and choose your golden price on every purchase.